In my previous video tutorial about disabling the Windows 10 lock screen, I also showed how you can disable the lock screen on my son’s gaming laptop, he wishes a new one like this now, after your PC awakes from sleeping. In that video, you actually need to go to your cPanel to find the “Power Options” and find the “require a password on wake up” option. However, someone commented on that video, said that her “require a password on wake up” option was missing. So I checked on my Win 10 PC, and thankfully, there is an alternative to achieve the same result, and it only needs a few steps. The windows club has a good tutorial about it, but I wanted to post complete steps, as at first, I did not know how to get to the Sign-in Options. 1. 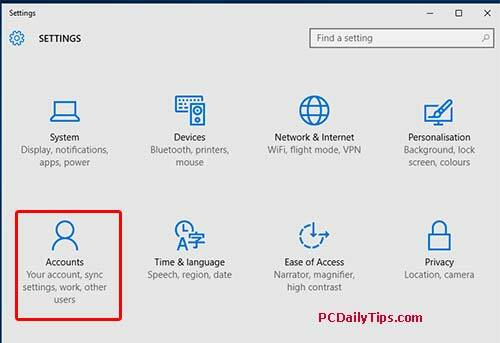 Go to “Settings“, you can do this, by clicking the Windows 10 icon in your bottom left corner of the screen, and you will see “Settings”. 4. 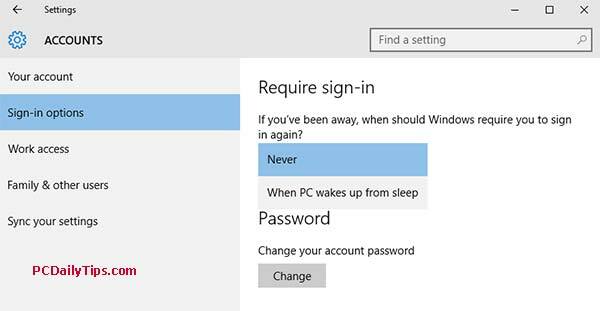 You will see, “Require sign-in” – if you’ve been away, when should Windows require you to sign in again? Choose “Never” to disable password requirement, or choose, “When PC wakes up from sleep” to enable it. Click the “Close” button, the setting is now saved.